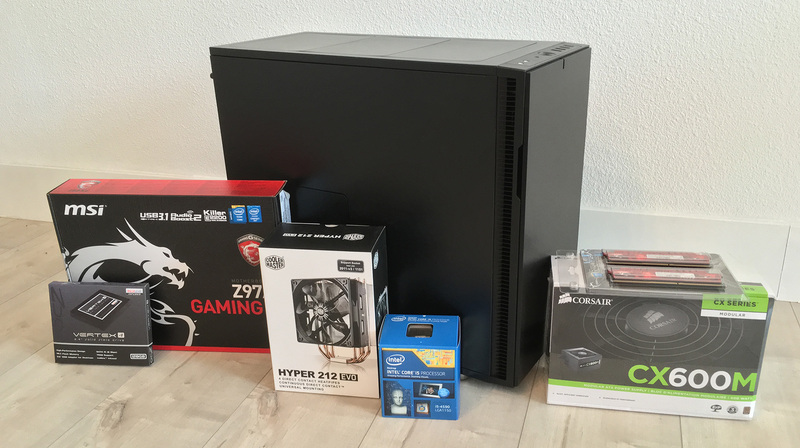 For me, building a cool PC is as much fun as using it. 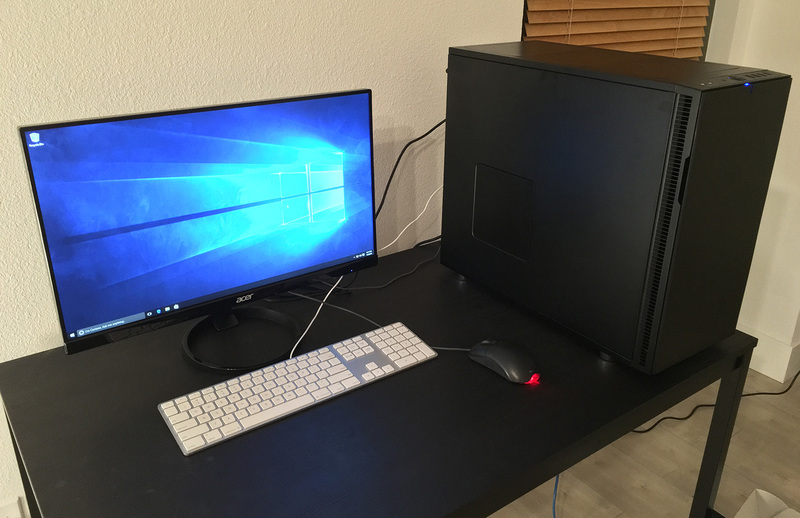 When I moved to America, I couldn’t take my PC with me – it’s just too big and heavy (and rather old now) – so I decided I would build a new one from scratch. Some tactical changes from my last build, I decided to get a modular PSU so the inside of the case would be cleaner. I remember having to hide a load of unused cables in the hard drive bay area last time, where they gather dust in a difficult-to-clean way. Other decisions were not as easy. Recently, Intel released their 6th generation processors with a new motherboard socket type. These were still fairly unproven and expensive compared to older models and didn’t offer too much improvement on performance (Intel have been focusing instead on power consumption recently). 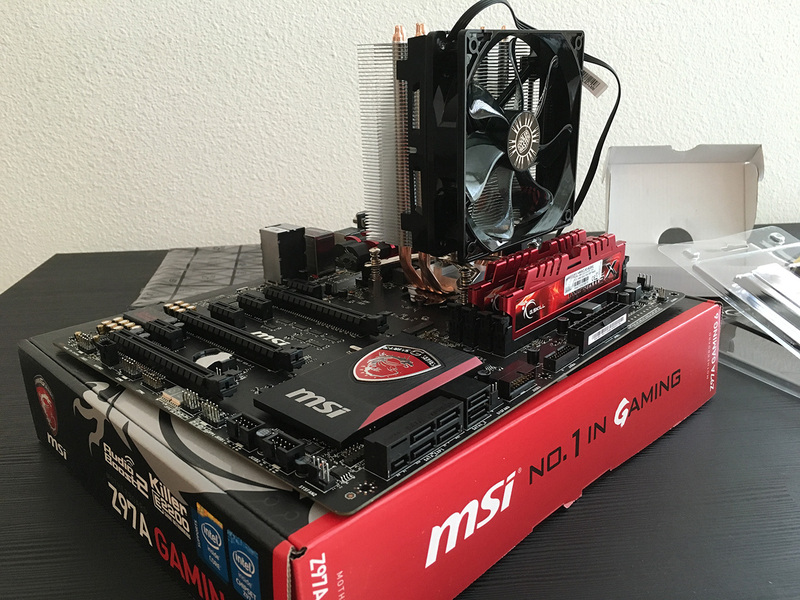 The variety of motherboards was also more limited and expensive, and I wanted to keep to a budget. I decided to get an older i5 processor, which also had a slightly higher clock rate. The motherboard I got was still quite new, however, as it had a USB 3.1 Type-C port. The graphics card choice was also quite difficult, but I went with a the GTX 970 because I had a very good experience with my old GTX 570. 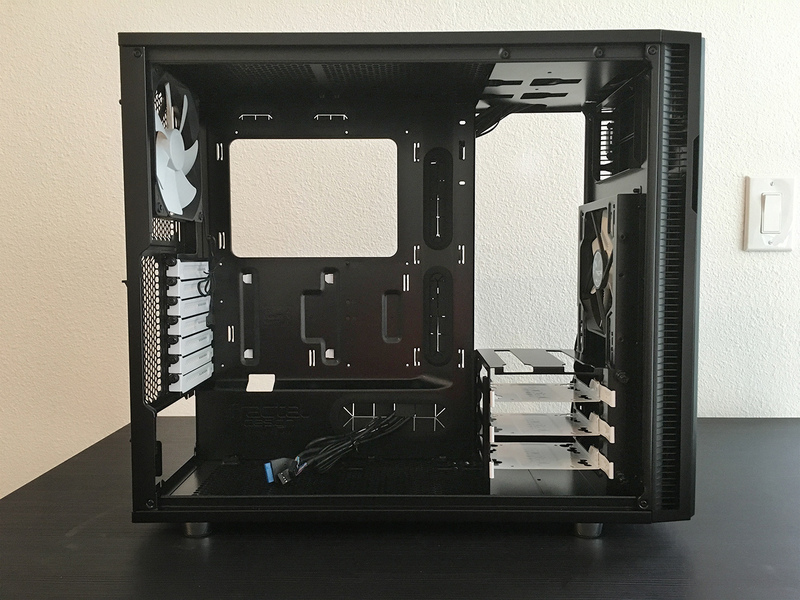 Here’s the before shot: an empty case. As I didn’t have a DVD drive, I promptly removed 2 of the 3 drive bay cages. The CPU, fan, and RAM being assembled. I had less trouble with the Hyper 212 EVO fan this time, as it was the third time I’ve installed one. Applying the thermal paste to the CPU is still as nerve-racking as ever! 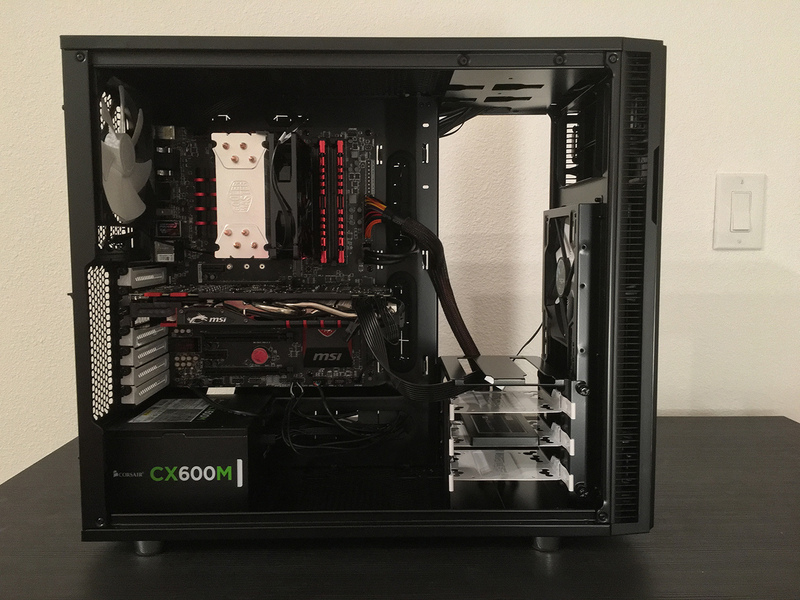 The after shot: all the parts in the case. I think I did a neat job on cable management. 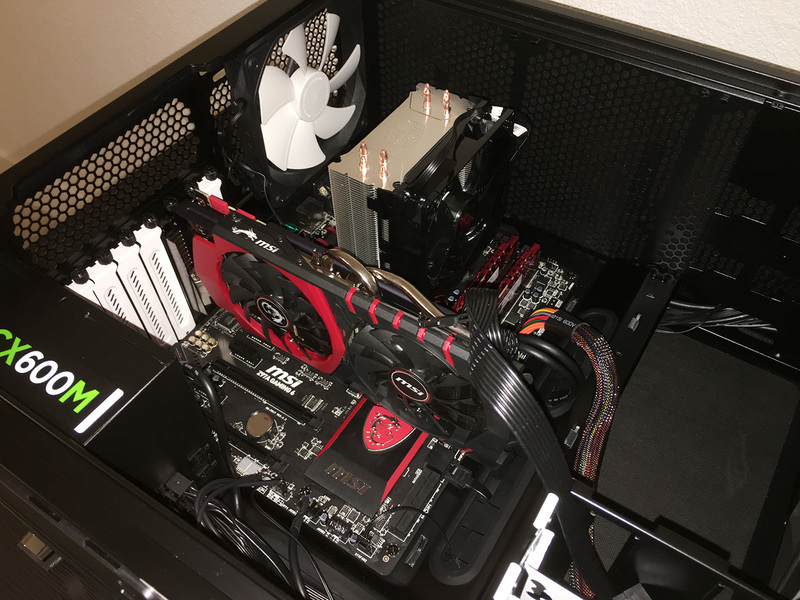 It’s kind of a shame I didn’t choose a case with a window, as the (unintended) black and red theme of the motherboard, RAM, and graphics card is pretty cool. This was my first time buying parts in America. pcpartpicker.com was very helpful in finding the right hardware. I bought most of my components from newegg.com and jet.com.